No matter how much you earn, it is important to make sure your dependants (people who rely on you for financial support) have enough money to live on if you die. 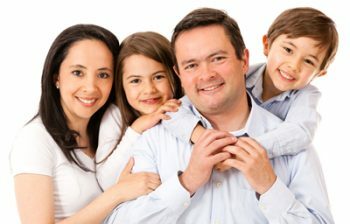 A life insurance policy can protect your dependants against financial hardship by paying them a lump sum after you die. Give your family an income for as long as they need it. Pay off your mortgage and any other financial loans. And cover bigger costs that might arise as your children get older – for example, school or college fees. If you have a young family, or plan to have more children, you may want to put life insurance in place at least until your youngest child has left school or finished college. This could mean having life insurance for a term of at least 20 to 25 years. If your children are older, five or 10 years of insurance may be enough. Some policies, such as whole-of-life policies, give you insurance for your lifetime so you do not have to decide on a specific length of time (the ‘term’ of the policy). If you are in a relationship and have dependent children, it is important to consider what may happen if either you or your partner died. For example, if you are involved in looking after your home and children, there could be extra childminding or housekeeping costs if you died. So, you may want to consider a joint or dual policy. This covers two people on the same policy, and could pay out a lump-sum benefit if either of you die (joint-life insurance) or if both of you die (dual-life insurance) within the term of the policy.